Increasing Business Efficiency with EDI - Integration, Inc. DOES YOUR BUSINESS STILL PROCESS TRANSACTIONS MANUALLY? Electronic Data Interchange (EDI). While it was once the norm for business owners to process transactions and keep records manually, most businesses today have transitioned to electronic data-keeping systems, such as EDI. Using EDI allows businesses to process transactions faster and more accurately, produce reports quickly and meet tax and legal requirements for their business as-needed. EDI also allows for less inventory needed to process transactions manually. EDI was specifically created in order to solve common business problems related to manual-based transaction processing. Non-EDI processing commonly included high processing error rates, lost transactions, delays in processing related to employee availability and manual processing tool availability, labor costs and inventory costs, among others. Human Error. Manual processing errors were very common prior to EDI. Using non-EDI manual processing required information be used in multiple areas many times and then stored, transported and referred to by people. It is inevitable that human errors would occur repeatedly using non-EDI processing. Unavoidable Processing Delays. When inventory is required in order to complete non-EDI business processing, delays getting inventory through a supply chain can be a real issue and takes days to receive. When inventory is received for non-EDI processing, that inventory needs to be stored somewhere as well, which incurs a cost. Additionally, non-EDI manual processing delays can also be related to the need to process everything by hand, taking time to complete. Employee Costs. Because automated systems, such as EDI, help improve the processing statistics for businesses, business managers across the globe agree that employee labor costs for non-EDI manual transaction processing represent a significant portion of their overall overhead costs. So, if non-EDI manual processes performed by employees are so much more expensive than implementing EDI operations, why would a business owner then choose to continue processing transactions manually? The answer is that most businesses would not. Inventory Costs. Requiring inventory in order to process non-EDI manual transactions can be costly in many areas of your business, especially if the supply chain is delayed. Because of time delays and uncertainties in non-EDI processing, inventories are often higher than necessary. When inventory is higher, so is your cost for storing it. The more inventory you have, the more space you need to keep it. And, if you don’t have enough inventory, your processing is delayed further. Lead-times related to manual non-EDI processing can be long. Choose EDI. EDI allows users access to an enormous amount of detailed transaction data, and it happens within seconds. In relation to non-EDI processing environments, the same results could only be accomplished by utilizing extreme employee effort with no time or inventory delays. 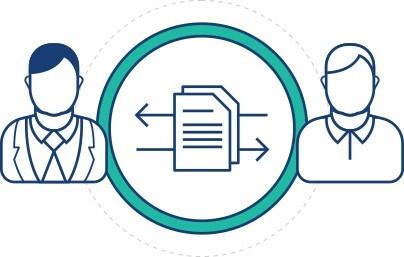 Because EDI data is already in standard computer format, it is subject to automated processing and analysis with the push of a button. 3) Choosing the right EDI Partner. Choosing to process EDI through a third part expert can be the end of excessive processing costs for your business. Not only does another company want to process your EDI transactions, they want to save you money and increase your customer satisfaction by streamlining your EDI system for you! To learn more about partnering with an EDI expert, contact Integration, Inc. today. Integration, Inc. is an industry-leading business process outsourcing provider specializing in business process automation services, such as Electronic Data Interchange (EDI), check writing, check printing, check processing, rebate processing, barcode labels and third party billing to companies across the globe. As a primary business process automation outsourcing provider, Integration’s goal is to empower all its client’s to focus on their core areas of expertise, while leaving the business process automation services to our team of experts. This is accomplished by supplying excellent business process automation services that enhance your company’s ability to provide increased reliability and cost savings to your customers. Integration enables your company’s success by providing a complete IT outsourcing solutions for business process automation. As a result, this allows your organization to respond rapidly to changing business environments, while meeting your customer’s needs consistently and in a more cost effective manner.